My girls love their LEGO’s. We have a lot of great sets and LEGO® DUPLO® bricks are still some of their favorites. They are perfect for little ones because they are twice the size. My 4-year-old loves playing with her Duplo bricks. I saw a fun idea while on Pinterest to make a Lego Heart Construction for Valentine’s Day. We had to try it and of course I had to add a crafty touch to it. You start off with a square duplo for the bottom and then one rectangular duplo on top of that. Then, 2 rectangular duplos and then, another 2 rectangular duplos. The 5th row up is a rectabgular duplo in the center and one square duplo on each side of it. Place the last 2 square duplos the way I have it shown below. Now, this is where I added a little Valentine’s Day touch to it. 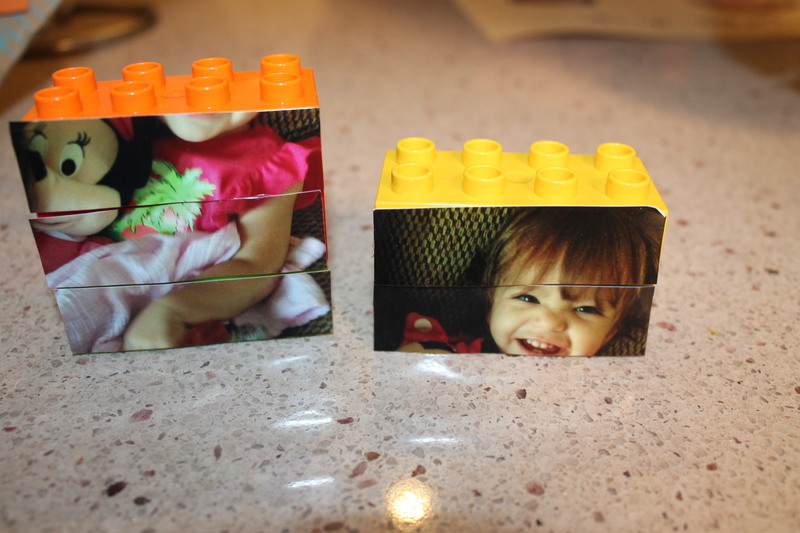 I absolutely love putting pictures on Lego Duplo’s. It looks so cute in your child’s room. Because when I think of one toy all kids love it has to be building bricks. Right? Instead of a puzzle I decided to add the photo in the center of the heart and have the girls add their hand writing to the heart to gift it to those they love this Valentine’s Day. Listen, I am not expecting anyone to go out and buy a bag of duplos and do this. 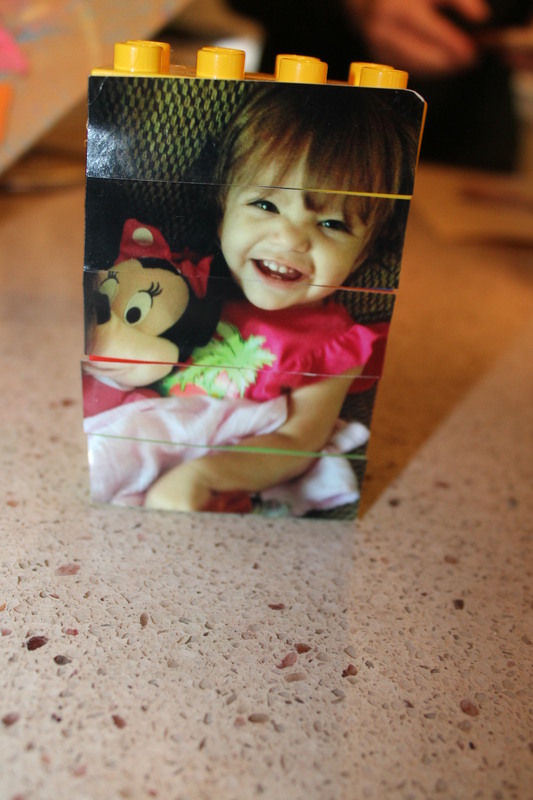 But, if your child has outgrown theirs and you are looking for a fun way to repurpose them. I think this is so cute. My youngest decided to use a variety of colors for her heart. I attached the photo with double-sided tape and placed it into the center of the heart (you will have to cut your photo to have it fit within the heart, as well). Then, I had the girls write on the duplo bricks with a black Sharpie permanent marker. My daughters are best friends with their cousin and I found an older picture that my oldest wanted to put on a blue heart and gift her cousin for Valentine’s Day. I think the saying is fun for this craft project. We hope you have as much making this fun and easy project, as we did.